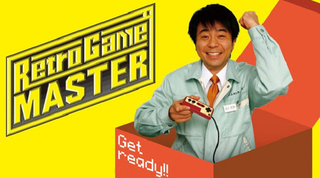 Here's Your Full First Season of Retro Game Master, Why Not Have a Viewing Party? Last week we wrapped up our first experimental season of Retro Game Master. Sure this is the Internet, but we thought it would be fun to run a full season of the first official U.S. airing of the popular Japanese television program, known as Game Center CX in Japan, as if it were airing on TV. The show used dubbing for the announcer's voice and English subtitling for Shinya Arino's. We aired it weekly on Kotaku at 8 p.m. eastern on Thursdays for 12 weeks. And I think for the most part people liked it, which is great. I hope it was a fun ride, but for now, at least, it's over, the season has wrapped. We're still trying to figure out if we can run a season two, but in the meantime, why don't you take the opportunity to have a Retro Game Master viewing party. Think of this as your free Season 1 copy of the show. I've compiled all of the shows below. Just click on a link, go big screen, sit back and enjoy. I plugged my laptop into my TV to watch these in the den. How do you usually watch?